Traffic Calming speed humps are designed for situations where traffic speed needs to be controlled but a traditional speed hump is not suitable. Smoother approach and departure angles mean a wider range of vehicles can pass over them. 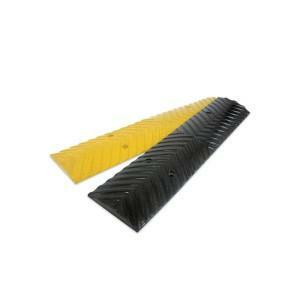 Solid rubber construction means these traffic calmers are capable of handling heavy traffic. 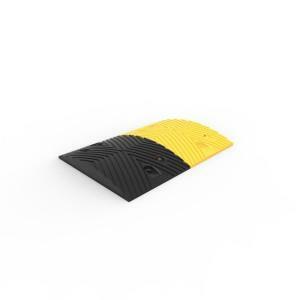 Safety yellow anti-slip insert panels increase visibility and improve pedestrian safety. Modular system can be configured to any length. All modules supplied with fixings. Highly shock absorbent rubber is both quiet and smooth in operation. 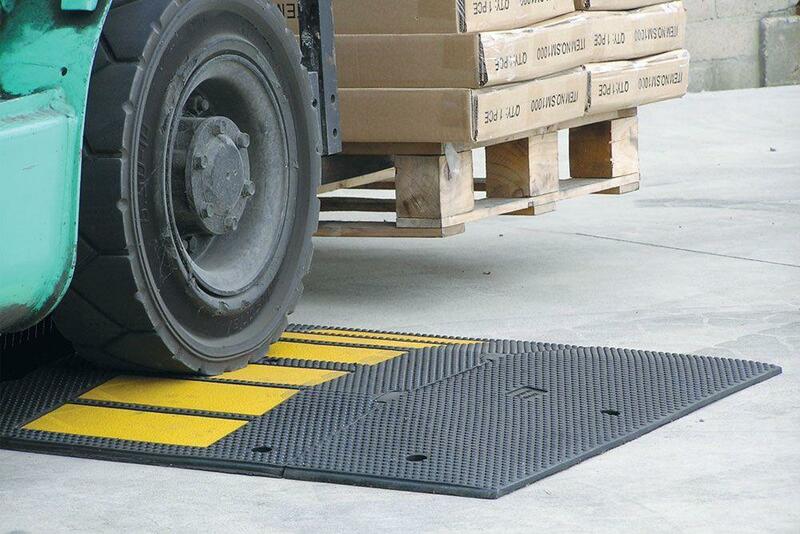 Middle sections fitted with high visibility non-slip panels. Description: Traffic calming system using interlocking body and end modules. Material: Solid natural and recycled rubber. Finish: Black moulded rubber, Yellow panels. 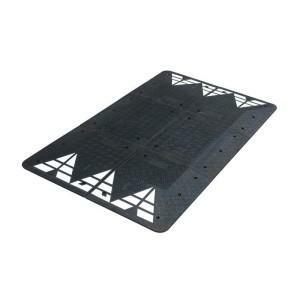 Length: 500mm body modules. 270mm end caps. Width: 900mm (body modules and end caps). Weight: 20kgs body modules (each). 15.7kgs end caps (pair). Fixings: 5 per body module. 6 per pair of end caps (supplied). Would the SMTC900 traffic calming hump be suitable for forklift traffic and loads of between 5 and 10 tonne up to 300 times per day?